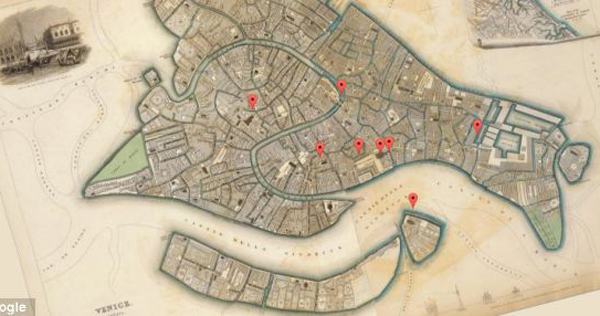 The Parenzos were a family of Hebrew printers active in Venice in the 16th and 17th centuries. Jacob (d. 1546) had come to Venice from Parenzo, on the Dalmatian coast of Italy, hence the family name, but was probably of German origin. His son, Meir (d. 1575), probably learned the printing trade at the Bomberg press, where he worked together with Cornelio Adelkind in 1545; and his own productions compare favorably in beauty and elegance with those of his masters. Parenzo worked for some time as a typesetter and corrector at the press owned by Carlo Querini. 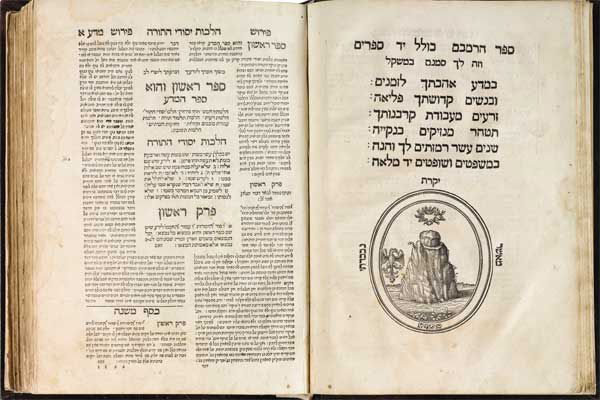 During 1546–48, he worked on his own, publishing five works, and later an edition of the Mishnah with Bertinoro’s commentary for Querini, although from about 1550 onwards his main work was with Alvise Bragadini. The Parenzos used various printer’s marks. Meir used a seven-branch menorah and a rather daring design with Venus directing arrows at a seven-headed dragon. His brother, Asher, used a mountain rising from the sea, with a laurel wreath above and a flying eagle at the left. Meir’s colophons abound in editions prepared by him. In 1547, the great French engraver and typecutter Guillaume Le Bé, and later Jacob of Mantua, produced Hebrew type for him. 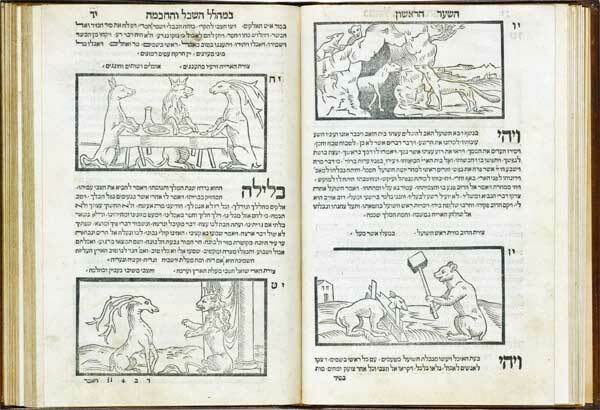 Between 1546 and 1548, Meir printed some highly praised editions, including a Mishnà. He died in 1575, while curating a complete edition of Maimonides’ Mishneh Torah in four volumes, which were completed by his brother, Asher Parenzo. 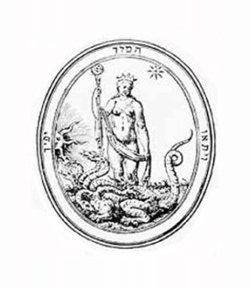 Asher introduced a new seal in place of the one used by his brother, a seven-branches candelabra, with one representing a woman holding the head of a dragon and seven snakes staring at the sun, the moon and a star. In the oval frame, words from Psalm 45, 12 appear: “So shall the king desire thy beauty”. With Meir’s death (1575), Asher took over working for the Venetian printer Giovanni di Gara, as well as for Bragadini, until 1596. Gershon Ben Moses, probably a nephew of Meir and Asher, descendants of Jacob Parenzo, worked for the Venetian printer Giovanni di Gara during 1599–1609 as did his son Moses in 1629.